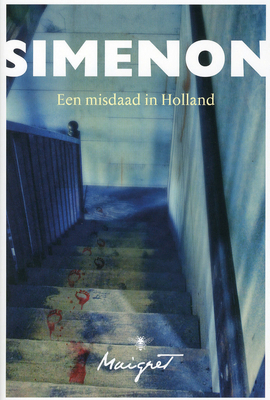 This is one of the first novels written by Georges Simenon in his detective Maigret series. A crime has taken place in Holland, in the upper north in the little village named Delfzijl. This is near Groningen in the province Groningen, a very wide – in Dutch terms – green rustic landscape near the sea and the isles around the northern part of Holland. To have an imaginable direction about in which environment the crime in this novel has taken place. Friends, family and neighbours are together for a scientific reading given by Jean Duclos. Yes this name sounds French and he is from origin a Frenchman just as Maigret (no not Poirot from Agatha Christie, he is Flemish). Because of the involvement of this Frenchman at the crime and his vast knowledge, the Dutch police asks if Maigret could investigate to. But of course Maigret does this in his own manner and we have to take in account that this novel is written in 1931 so not any current modern technology involved. Maigret came by train from Paris. I have found no spelling or grammar mistakes in the Dutch translated version. The pace of the story is first quick, a lot of facts and little happenings and of course the crime. Later on it slows a bit and in the middle it is slightly harder to get through but also the landscape is described. Everything Maigret sees or where he walks on, or if he slips or when the snow is crackling, it is written. And that makes it a beautiful detective novel. The main characters besides Maigret are of course all the suspects, Jean Duclos included, and I don’t want to spoil the story. The Dutch police officer he is helping is named Mr. Pijpekamp and he is working at the police station in Groningen. Those three characters are the opposite of each other. Each of them and none is slightly equal except they share the love for details and told or untold speculations. The ending though did surprise me. But because the pace of the book was a little bit too slow and felt one time as repeating, I gave it only the rating 3 out of 5 stars. Beside the middle quickness it is otherwise definitely my taste with a rating of 4 out of 5 stars.